When the best hope for recovery lies with a cancer center far from home, the American Cancer Society Hope Lodge Marshfield provides a comfortable, nurturing environment where patients and families can stay during treatments, free of charge. The Hope Lodge is conveniently located within walking distance to nationally accredited Marshfield Clinic and Ministry Saint Joseph’s Hospital providing support to patients and caregivers when they need it most. 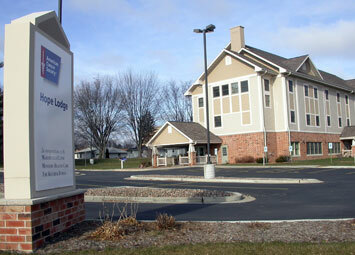 Since the American Cancer Society Hope Lodge Marshfield opened in 2003, over 13,000 guests have used the facility. Annually this equates to a savings of almost $600,000 in lodging costs for cancer patients and their families. Funds raised at the 7th Annual Gala will directly benefit the costs of the American Cancer Society Hope Lodge Marshfield, ensuring these savings for cancer patients everywhere in their time of need.